We watched with horror the events of the weekend unfold in Charlottesville. As White Supremacists, Neo-Nazis, the KKK, and others with similar ideologies committed murder and other atrocities, many of those did so while at the same time professing to be Christians. 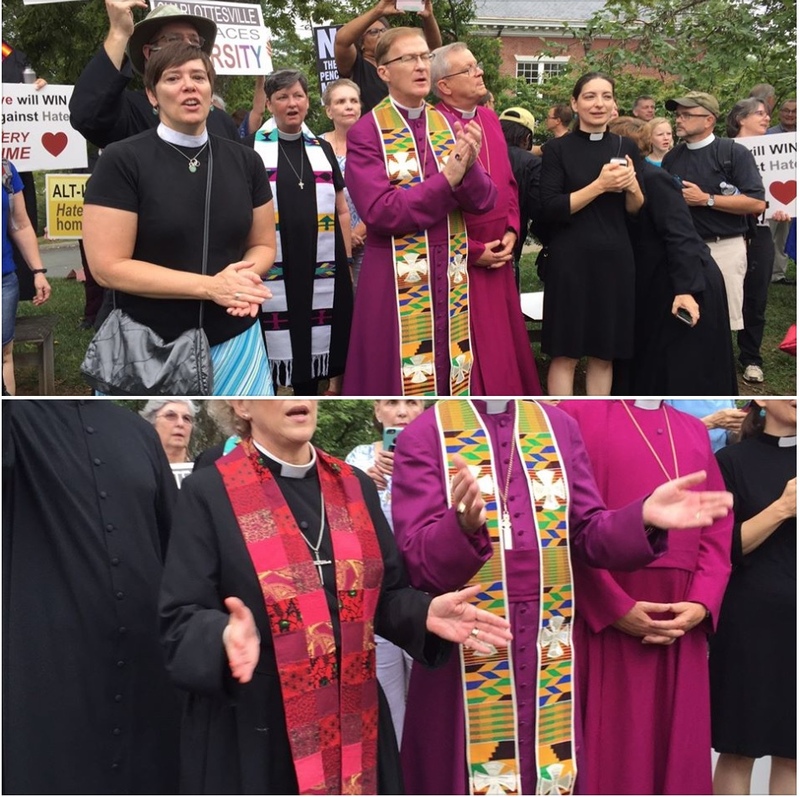 As clergy in the Episcopal Church, we proclaim clearly and with certainty that they do not represent Christ or Christianity. Jesus said the first and greatest commandment is to love God with all our heart and soul and mind and to love our neighbors as ourselves. Over the last few days we saw in Charlottesville our failure to follow those commandments. As the clergy of Episcopal Churches of Savannah, we re-affirm our desire to follow the life and teaching of Jesus Christ. In so doing, we are clear in our conviction that the overt racism, raw hatred, and horrific violence that we saw this weekend is contrary to all that he taught and did. We pray for Heather Heyer and her family, for Jay Cullen and Berke Bates, and all those physically or spiritually harmed. We repent of our own complicity in the structures of our society that allow or support these behaviors and for our silence when we have lacked the will or courage to speak out. We pray also, as Jesus taught us, for the perpetrators, for James Fields, and for all those wielding the words and weapons of hatred and bigotry. We pray God’s blessing on them, and pray for their own repentance. White Supremacy, bigotry, racism are all sins, egregious ones. They deny the humanity of those at whom they are directed and destroy the humanity of those who follow these ideologies. They are contrary to the teachings of Jesus, and they grieve the heart of God. While we recognize these attitudes and actions as evil, we also recognize those who displayed them this weekend are, even so, created in the image of God and are in the same need of repentance and redemption as we are. We commit ourselves again to the vows we made in our baptism and in our ordination - to seek and serve Christ in all places, to persevere in resisting evil, to proclaim by Word and Example and the Good News of God in Christ. We call upon all the faithful likewise to commit themselves to prayer and repentance for the things that have been done and for those things that we have left undone. The Rev. Denise M. Ronn, Ph.D.